Happy New Year, YA-lovin’ librarians! We loved seeing so many of you in Boston at ALA Midwinter, where you showed up in full force for Roshani Chokshi (THE STAR-TOUCHED QUEEN), David Levithan (YOU KNOW ME WELL), Anna-Marie McLemore (THE WEIGHT OF FEATHERS) and Ann Jacobus (ROMANCING THE DARK IN THE CITY OF LIGHT). We’ve got two new teen-friendly titles, just in time for today’s Early Word YA Galley Chat (hashtag: #ewgcya, starts at 5pm EST)! 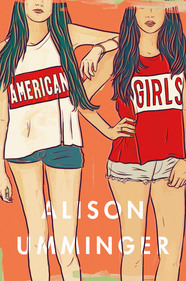 Books for Teens 2016: WE [heart] Flatiron Books YA! Our list of favorite forthcoming 2016 teen titles collected all in one place, just for you and your teen patrons is finally here. 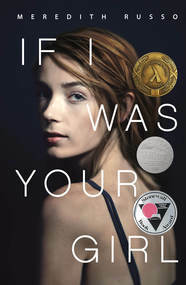 In addition to the always-exciting selection from Griffin Teen (including new books from David Levithan and Stephanie Perkins), keep an eye out for YA debuts IF I WAS YOUR GIRL and AMERICAN GIRLS from Flatiron Books. 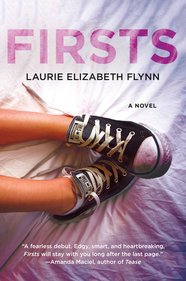 But first, make sure that you’re pre-approved on Edelweiss to download all of our available e-galleys. Click here to find out how to be whitelisted. 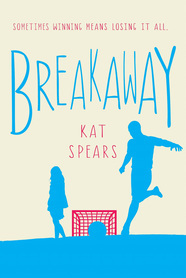 You can also view our Edelweiss collection of Books for Teens 2016 titles here. Our super-cool “Books for Teens Twenty-SixTEEN” poster is now available! You’re in for a treat because this year’s poster is double-sided—flip it over and color your own CARRY ON book jacket! Click here to download a copy or email us to request a hard copy (don’t forget to include your mailing address). Now on to the books, starting with Flatiron YA! **TWO STARRED REVIEWS** Amanda Hardy is the new girl in school in Lambertville, Tennessee. Like anyone else, she wants to make friends and fit in, but she has a secret. When she meets sweet, easygoing Grant, she can’t help but let him in. As they spend more time together, she finds herself yearning to share with Grant everything about herself, including her past. But Amanda’s terrified that once she tells the truth, no one will be able to see past it. Because the secret that Amanda’s been keeping? At her old school, she used to be Andrew. 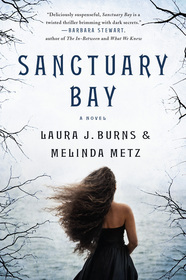 ***THREE STARRED REVIEWS! 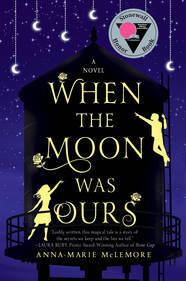 *** When fifteen-year-old Anna “borrows” her family’s credit card and runs away to L.A. to crash with her half-sister, she has to work to pay her way home. Her sister’s creepy ex-boyfriend hires Anna for a seriously macabre research project for his indie film: to research the murderous Manson girls. 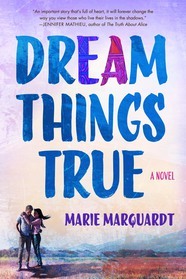 This is not quite the summer Anna had in mind, but it may just be the one that she needs to understand and accept her family, and herself, in a new way. 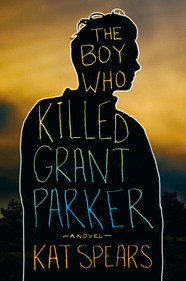 A 2016 YALSA Best Fiction for Young Adults selection! 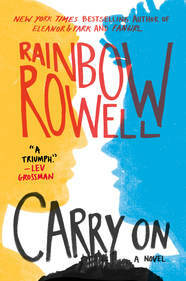 Rainbow Rowell continues to break boundaries with CARRY ON, an epic fantasy following the triumphs and heartaches of Simon and Baz from her beloved bestseller FANGIRL. 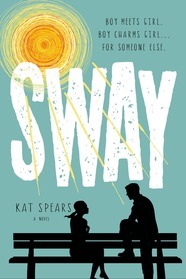 From the author of the YALSA 2015 Best Fiction for Young Adults pick, SWAY, comes a high stakes contemporary story of a city teen who moves to a small town and finds himself head to head with the local bully. 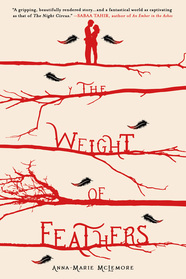 THE WEIGHT OF FEATHERS by Anna-Marie McLemore (ages 14-18) will be available in trade paperback on September 26, 2017.